Windows That Last a Lifetime. When choosing replacement windows, why not go with the trusted name? 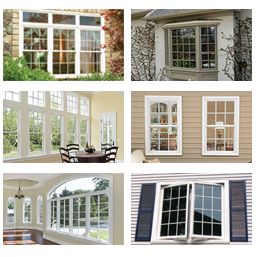 Infinity Fiberglass Windows by Marvin are considered to be the best replacement windows on the market. You must have heard a lot about wood and vinyl windows. They are the most popular among middle class homeowners because of their cost. However if we leave the pricing issue aside, no other material can’t beat the advantages of fiberglass. Vinyl and wood have many downsides that fiberglass doesn’t. Fiberglass will never face such problems as rotting, cracking, expanding, and shrinking. Moreover you can repair and repaint it several times without losing the efficiency. Ultrex Fiberglass material offers great strength, durability, UV resistance and an excellent look that will impress your neighbors. Ultrex Fiberglass windows are up to 8 times stronger than vinyl windows and 3.5 times stronger than wood. Ultrex Fiberglass is much greener, it requires 39% less energy to produce than vinyl and blocks up to 95% of the sun’s damaging UV rays. Paired with the right kind of glass, such windows reflect heat and cold away from your home, giving you the comfort you deserve. Infinity Fiberglass Windows come with a limited lifetime warranty. While they are easy to maintenan, their durable construction and resistance against nasty temperature changes make them an excellent choise for any home.